Delineates a lifestyle at the top of English society and intelligentsia. This cookbook includes unlikely dishes such as Turnips Cresselly and Penally Pudding. 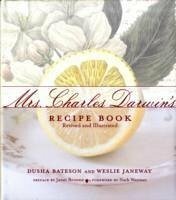 It also features the recipe for boiling rice in Charles Darwin's own hand.